Welcome to ORTV's pilgrimages home page. The Office of Radio & Television and WJMJ Radio sponsor pilgrimages and tours primarily to Europe concentrating on Italy as an additional fundraising method to support their activities. From this page you will be able to access specific information about upcoming tours or review past tours through pictures or streaming media content. Please tell us what you would like to see or where you would like to travel. If you would like to be placed on our mailing list to be notified of future tours, please click here. The following links will take you to the U.S. Department of State's website. This page was last updated on 12 Apr 2019. Sicily 2019 with Father John - October 31 to November 13, 2019 - NOW BOOKING! Booking is underway for the Office of Radio & Television's and WJMJ Radio's 14 day/12 night pilgrimage tour to the beautiful island of Sicily from October 31 to November 13, 2019. Father John Gatzak is your host for this pilgrimage tour that features: Palermo; Monreale; Erice; Cefalu; the Marsala wine region; Agrigento... and the Valley of the Temples; the mosaics at the Villa Armerina; Savoca and the Barone Palantia estate... where scenes from The Godfather were filmed; Taormina and its Greco/Roman theatre; Mt. Etna, Europe's tallest active volcano; Messina; Catania; and Siracusa and its old town Ortigia; the UNESCO World Heritage cities of Modica and Ragusa; and much more... And not to mention the wonderful Sicilian people, food, wine and sweet treats. Book Now and Save $200 per Person until June 14, 2019. Cost per person, double occupancy from JFK International Airport, New York: Double $3,749, Single $4,547; Regular Rates (after June 14, 2019) - Double $3,949; Single $4,747. For more information call Scott or Lauren at 203.758.7367 or click here. Ireland 2019 with Father John - September 15-28, 2019 - NOW BOOKING! The Office of Radio & Television and WJMJ Radio are returning to the Emerald Isle and you are invited to join Father John on this 14 day/12 night pilgrimage tour to Ireland featuring: Dublin; Trinity College with the Book of Kells and the Long Room; St Patrick’s Cathedral; the Guinness Storehouse; the Wicklow Mountains and Glendalough Monastic Site; Knock Shrine; Connemara; Galway; Kylemore Abbey; a Cliffs of Moher cruise; Kenmare and a Kenmare Bay cruise; Blarney Castle; Kinsale; St. Declan's Well; Waterford Crystal; the JFK Homestead; Tintern Abbey; Hook Head Lighthouse, the Jameson Distillery and so much more. Book Now and Save $200 per Person until April 15, 2019. Cost per person, double occupancy from Bradley International Airport, Hartford, CT: Double $3,796, Single $4,356; Regular Rates (after April 15, 2019) - Double $3,996; Single $4,556. For more information call Scott or Lauren at 203.758.7367 or click here. The 2020 Oberammergau Passion Play - SPACE IS LIMITED FOR THE JULY 20, 2020 DEPARTURE! The Oberammergau Passion Play in 2010 was attended by over 500,000 people, including a group of 88 Office of Radio & Television and WJMJ Radio supporters. From May 16th to October 4th, 2020 the 42nd Passion Play will be performed in Oberammergau, Germany. Yes, the dates are correct... tickets to this sought after event went on sale in September 2017 and are selling like hotcakes! Since 1634, a Passion Play has been performed every 10 years by the citizens of Oberammergau in thanksgiving to God for sparing them from the Black Plague. However, we have a second chance opportunity for you! Working with with our travel partners, we were able to secure tickets for the July 26, 2020 performance of the Passion Play which is included with the Exploring the Alpine Countries with Oberammergau Passion Play tour. This is a 13 day/11 night tour from July 20 - August 1, 2020. This tour will also be Hosted by Father John Gatzak, and features Austria, Germany and Switzerland. Highlights include: Vienna, a Danube River Cruise, a Mozart Dinner Concert at St. Peter’s Restaurant, Munich, the Oberammergau Passion Play, the Black Forest, Château de Chillon, Zermatt, and Lucern. Your tour also includes 19 meals; 11 breakfasts, 1 lunch and 7 dinners. Reservations will be filled on a first come, first served basis. You saw how fast our Alpine Explorer tour sold out, so send in your deposit TODAY! Please note that there is a waiting list for Single rooms and there are no triple room accommodations for this tour. If you would like to learn more about this tour, you may view an archive to the special webinar that was held on September 5, 2018 by visiting: View Webinar. There is a short registration form to complete, which then takes you to the webinar archive. Father John Gatzak hosted a group of 42 Office of Radio & Television and WJMJ Radio supporters and together they celebrated the Office of Radio & Television's 65 years of Bringing Good News to Life® on a 14 day/12 night pilgrimage to Bella Italia. The group visited Verona, Venice, but avoided the floods; Modena, where they learned about Balsamic vinegar production; Florence and Michelangelo's David, Assisi, Rome and the Vatican where the group had front row seats as Pope Francis passed in the Pope Mobile; Pompeii; Sorrento, including some very pampered water buffalo and the Greek and Roman ruins in Paestum. They had a beautiful and sunny day for their drive along breathtaking beauty of the Amalfi coast and visit of Amalfi; and the tour culminated with a visit to beautiful Isle of Capri, fortunately the rain held out for most of the day, but they didn't quite make it back to the hydrofoil before getting drenched. Let's just say raincoats and umbrellas were not sufficient. Father John Gatzak hosted a group of 37 Office of Radio & Television and WJMJ Radio supporters on a 14 day/12 night pilgrimage tour to the Eternal City... Rome and the beautiful island of Sicily on September 17-30, 2017. The group visited the many historic sites of Rome including the Vatican; and in Sicily toured Palermo, with the highlight being a visit to the anchovy museum; Monreale, Erice, Cefalu, the Marsala wine region, Agrigento... and the Valley of the Temples, although the walking tour was rained out; the mosaic at the Villa Armerina, Savoca and the Barone Palantia estate... where scenes from The Godfather were filmed; Taormina and its Greco/Roman theatre; Mt. Etna, Europe's tallest active volcano which was snow capped already; Siracusa and its old town Ortigia; and the UNESCO World Heritage cities of Modica, Noto and Ragusa... And not to mention the wonderful Sicilian people, food, wine and sweet treats. Father John Gatzak	hosted 15 Office of Radio & Television and WJMJ Radio supporters on a 14 day/12 night pilgrimage to Ireland, September 17-30, 2016. The groups visited: Dublin; Trinity College with Book of Kells and the Long Room; St Patrick’s Cathedral; Guinness Storehouse; Glendalough Visitor's Center where we learned about St. Keven; Knock Shrine; Galway Cathedral; Kylemore Abbey; Cliffs of Moher; Kenmare Smokehouse; Blarney Castle, and yes quite a few members of the group came down with the gift of gab after kissing the Blarney Stone; Jameson Experience; Waterford Crystal; JFK Homestead; Tintern Abbey and so much more. This was a wonderful experience for all and we look forward to offering this pilgrimage in the future. Father John hosted a small group of Office of Radio & Television and WJMJ Radio supporter/listeners on this special 13 day/11 night pilgrimage to Italy in celebration of the Extraordinary Jubilee of Mercy declared by Pope Francis. The group visited many holy sites from Rome to Bari to Loreto and Assisi including: the Eternal City... Rome and the Vatican; Pietrelcina (birthplace of Saint "Padre" Pio); San Giovanni Rotondo, where Saint Pio served, received the stigmata and died; the Trulli of Alberobello; Bari and the Cathedral of St. Nicholas; Loreto and its "Holy House"; Assisi... home of St. Francis and St. Clare; and much more. Father John Gatzak hosted a small group of Office of Radio & Television and WJMJ Radio supporters/listeners that were part of an overall larger group on this 10 day/8 night tour to Sunny Portugal... Estoril Coast, Alentejo & Algarve. The Itinerary included visits to: Cascais, Lisbon, Jeronimo's Monastery, Sintra, Fatima, Evora, Monsaraz, Algarve, Sagres, Lagos, Faro, Azeitao, 5 UNESCO World Heritage Sites, and much more. 36 joined Father John Gatzak on a fantastic 14 day/12 night classic pilgrimage tour of Italy to celebrate Father John's 40th Anniversary of Ordination to the Priesthood. It was was 40 years ago on June 29, 1975 that Father John was ordained a priest by Blessed Pope Paul VI in Saint Peter's Square. The itinerary included visits to: Verona, Venice, Modena, Florence, Siena, Assisi, the Eternal City... Rome and where the group attended the Papal Mass Celebrated by Pope Francis for the Feast of SS. Peter and Paul in the Basilica of St. Peter, Pompeii, Sorrento, Amalfi and the breathtaking Amalfi Coast, Ravello, Paestum and the Isle of Capri and much more. Father John Gatzak led your fellow Office of Radio & Television supporters and WJMJ listeners on this 11 day/9 night tour to the beautiful island of Sicily visiting Palermo, Monreale, Cefalu, the Marsala wine region, Agrigento, the Villa Armerina, Savoca, Taormina with its spectacular view of Mt. 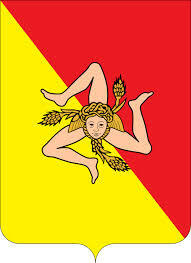 Etna, Europe's tallest active volcano, Messina and Reggio Calabria, Siracusa and Noto... a UNESCO World Heritage Site. Father John led your fellow television Mass viewers and WJMJ listeners on this 10 day/8 night pilgrimage to Italy in honor of Pope Francis. With visits to Rome and The Vatican, attendance at a General Audience with the new Holy Father in St. Peter's Square. Itinerary also included visits to Assisi... home of Saint Francis, for whom the Holy Father chose his name; Florence, Siena and San Gimignano. Father John Gatzak led 25 Office of Radio & Television supporters and WJMJ listeners on a 10 day/8 night pilgrimage to Rome and Assisi for the canonizations of 7 blesseds, including two heroic American women... Blessed Marianne Cope and Blessed Kateri Tekakwitha on Sunday, October 21, 2012. In Assisi they visited the Basilicas of St. Francis and St. Clare, and explored this mystic medieval town and the surrounding Umbrian hill towns including Spello, Spoleto and Bevagna. Father John Gatzak led 23 Office of Radio & Television supporters and WJMJ listeners on a 12 day/10 night tour to the beautiful islands of Sicily and Malta from September 1 - September 12, 2012. In Sicily the group visited: Palermo, Erice, the salt pans of Trapani, Agrigento, Taormina with its spectacular view of Mt. Etna, Europe's tallest active volcano, Siracusa, and more. On Malta... many historic sites some dating to prehistoric times were visited. Father John Gatzak and your fellow Office of Radio & Television supporters and WJMJ listeners experienced a fantastic 14 day/12 night classic tour of Italy visiting Verona, Venice, Modena, Cinque Terre, Pisa, Florence, Assisi, the Eternal City... Rome, Pompeii, Sorrento and The Amalfi Coast. Click here to read a client's impression of this tour. A 13 day/11 night classic pilgrimage to Italy with Father John Gatzak that included visits to Verona, Venice, Cinque Terre, Pisa, Florence, San Gimignano, Siena, Assisi, Pompeii, Sorrento, The Amalfi Coast and the Eternal City... Rome. A 10 Day/8 Night Pilgrimage to Germany & Austria with Father John Gatzak that included the Oberammergau Passion Play performance on Thursday, July 22, 2010. Featuring: Warsaw, Krakow, Zakopane, Shrine of Divine Mercy and St. Faustina's tomb in Krakow, Shrine of Our Lady of Czestochowa, Auschwitz Memorial and Wieliczka Salt Mines. 10 Days - 8 Nights. Father John and his fellow pilgrims experienced another wonderful 9 days and 7 nights in Rome and Southeastern Italy. We visited Rome and the Vatican and participated in Pope Benedicts XVI's weekly audience. In Puglia, we saw some of Italy’s most unspoiled scenery, most fascinating artistic and historical sites, and finest beaches. We visited Pietrelcina... the birthplace of Saint “Padre” Pio and San Giovanni Rotondo… the Basilica where we celebrated Mass, the tomb of Saint Pio and the new Pilgrimage Church of Saint Pio. In Monte Sant’Angelo we visited the grotto and Shrine of Saint Michael the Archangel. We explored the Castel del Monte, a UNESCO World Heritage site. We visited Trani, Polignano a Mare and Locorotondo. We explored the cone shaped Trulli of Alberobello. And experienced agritourism up close, including visits to a winery and an olive oil factory, and culminating with an Italian cooking lesson. Father John Gatzak led another group of pilgrims on this 14 day, 12 night classic tour of Italy. We were blessed by beautiful weather as we visited Venice for 3 days including the islands of Murano, Burano and Torcello, Next we stopped in Modena for an education in traditional Balsamic Vinegar then onto Florence and Michelangelo's David. From Florence we visited a vineyard and winery in the Chianti region; Siena - home of Saint Catherine - where we had a special visit with one of the local Contrada. Next up was beautiful Assisi and visits to the Basilicas of Saint Frances and Saint Clare, Patron Saint of the television Mass. From Assisi we toured to Sorrento and drove the breath taking and winding Amalfi drive to Amalfi. Then it was on to Rome, but first we stopped in Pompeii and visited this Roman city buried by the eruption of Mount Vesuvius in 79 AD. In Rome, we attended a papal audience with our Holy Father Benedict XVI, and the diaconate ordination of American seminarians attending the Pontifical North American College at Saint Peter's Basilica, including Michael Carlson of Prospect, CT, a seminarian from the Archdiocese of Hartford. This Lenten Pilgrimage to Rome and Lourdes with Father John Gatzak, Executive Director of the Office of Radio & Television of the Archdiocese of Hartford, began with 4 days in Rome where we participated in the events commemorating the 1st anniversary of the death of Pope John Paul II, including a candlelit recitation of the Rosary and the Memorial Mass in honor of John Paul II presided by Pope Benedict XVI. Our stay in Rome concluded with a Papal audience. Next we visited Pisa and its famous Leaning Tower, and yes everyone tried to hold it up... then on to Avignon, France and the Palace of the Popes. Our Lenten pilgrimage concluded in Lourdes... the sanctuary and grotto, where the Blessed Mother appeared to St. Bernadette. It was truly a very moving and spiritual experience for all as we prayed at the grotto, participated in the Palm Sunday liturgies and culminated with a candlelit Marian procession. Fr. John Gatzak, Executive Director of the Office of Radio & Television, Archdiocese of Hartford conducted another unforgettable pilgrimage, this time, in celebration of his 30th anniversary of priestly ordination on June 29, 2005. This pilgrimage began with 8 days exploring the ancient ruins on the beautiful Island of Sicily visiting Taormina, an optional trek to Mt. Etna no eruptions this trip, Siracusa including a boat ride around the harbor... the very waters that St. Paul sailed, Solarino... where Father John celebrated Mass with his cousins, the Valley of the Temples in Agrigento, Erice, Saline, Monreale and Palermo. We concluded the pilgrimage with 3 days in the Eternal City, Rome, the highlights being the Papal Mass and Imposition of the Pallium with our new Holy Father, Benedict XVI in the Basilica of St. Peter; visiting and praying at the tomb of Pope John Paul II and celebrating Father John's Anniversary Mass in the Basilica at the Catacombs of Priscilla. 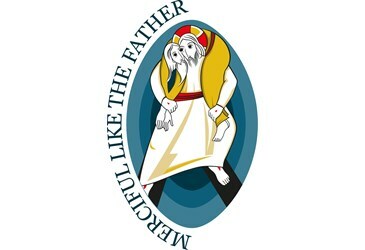 Father John planned this pilgrimage to celebrate the Archdiocese of Hartford's new Archbishop, Henry J. Mansell, on the occasion of his receiving the pallium from our Holy Father John Paul II on the Feast of Saints Peter and Paul, June 29, 2004. This pilgrimage began with 2 days in Assisi where we enjoyed the local Festa delle Campanelle, then we spent 4 days in Rome, the highlight being the Pallium Ceremony and a General Audience with the Holy Father. From Rome we journeyed south for 5 glorious, sun-filled days in and around Sorrento, including visits to Naples, Amalfi, an optional excursion to Capri, Ravello, Paestum and a Buffalo Mozzarella farm factory. This pilgrimage was in celebration of the Office of Radio & Television's Golden Jubilee with an added bonus. It included Lake Como, Florence, Assisi, Rome for the Beatification of Mother Teresa (now Saint Teresa of Calcutta) by our Holy Father John Paul II on October 19, 2003, and San Giovanni Rotondo to visit the Basilica and birthplace of Saint "Padre" Pio of Pietrelcina. This pilgrimage included the beautiful island of Sicily with visits to Palermo, Agrigento, Siracusa, and Taormina with its view of the erupting Mt. Etna, and Rome and an audience with our Holy Father John Paul II. This pilgrimage was almost another casualty of the September 11, 2001 terrorist attacks on the United States. However, from an initial group size of 35, Father John led 20 brave and hearty pilgrims, including a first-time flyer, to Italy where they prayed and remembered the victims of the 9/11 terrorist attacks in the Eternal City of Rome, Sorrento, Capri, Pompeii, Assisi, Venice and Milan. Contents of this web site and all original works are copyright ©1999-2019 by ORTV, Inc. or by the original creator of the material. All rights reserved. The material on this site may not be reproduced, copied, broadcast, downloaded, stored (in any medium), transmitted, shown or played in public, adapted or changed in any way whatsoever without the prior written permission of the copyright owner. Please see Copyright for our complete copyright legal notice. Bringing Good News to Life®, WJMJ® and Where Faith Meets Life® are registered trademarks of ORTV, Inc.